Depending of your favourite working method, you can create different types of function curves to suit your need. 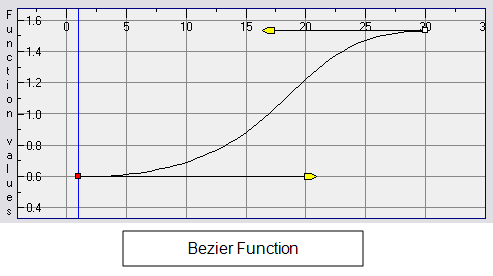 When you create a function to control a parameter over time (Scale, X, Y, Z, Rotate), you have the choice of an Ease or Bezier function. These function editors present different ways of editing the values over time. The shape of the created graph indicates the velocity of the function, regardless of the chosen editor. The type of function that you choose is largely based on your own working preference. 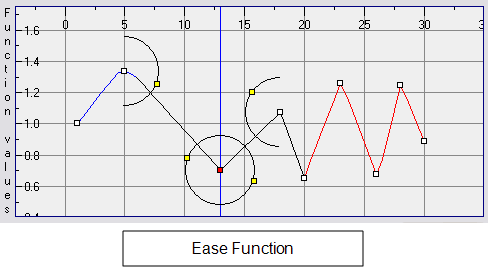 With the Ease editor, you can edit the shape of the function curves using the ease-in and ease-out controls. You may choose to use this type of function if you are used to working with ease-in and ease-out values. You can also create Velobased functions for certain effects, like changes in rotation or size over time. In these cases, the Velobased functions are linked to the velocity of a 3D path. You cannot change the shape of a Velobased function to control its velocity. To convert Ease and Bezier functions so that you can edit them using the controls offered by that editor. 1. 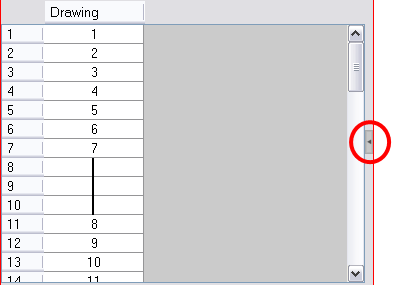 In the Xsheet view, if not done yet, show the function columns. 2. In the Xsheet view, click on the Expand button located on the right side of the main section to show the Functions section. Click on the same button to collapse it. You can also use the Show Column List button in the Xsheet View toolbar. 3. Click the Expand button on the right side of the Functions section to display the Column List section. 4. In the Timeline view, click the layer you want to display the function columns from. ‣ Convert the column: The values of multiple effects may be linked to the original column. When you use the Convert the Column command, all links to the original column will transfer to the new converted column. ‣ Create a new column and update links: Creates a new function from the original. All links to the original column will transfer to the new column. The original function column will remain in the exposure sheet in case you decide you want to switch back to it. 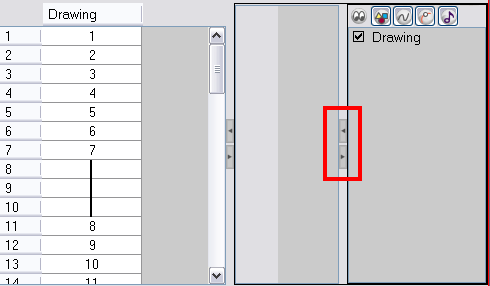 ‣ Create a new unused column: Creates a new column based on the values in the original column and leaves all links pointing to the original column. You can use this command to experiment with various functions and then link effect values to the new function curve column.